Gerri Willis helps travelers navigate big changes to passport rules. NEW YORK (CNNMoney.com) -- Tomorrow new passport rules will take effect that have thousands of travelers scrambling for applications. Gerri answers questions that will tell you what you can do if you need a passport. Question 1: What's going to change? All incoming air travelers to the U.S., and that includes American citizens, will need to have a passport. Previously U.S. citizens only needed a driver's license or birth certificate if they were re-entering the U.S. from Canada, the Caribbean and Mexico. But all that is going to change. Now keep in mind that Puerto Rico and the U.S. Virgin Islands are exempted from this rule since they're considered part of the U.S. territory. And while this rule pertains to air travelers, next January, the rules will extend to people who drive or take a cruise. Question 2: How long can you wait to apply? Don't wait. It usually takes 6 to 8 weeks to process a passport application. And with demand for passports up 56% over last year, you won't want to wait. First-time applicants must apply in person. Unfortunately between now and July is the peak time for getting a passport. If you can afford to wait, you'll get faster service if you apply between August and December. Your passport must be valid at least six months beyond the dates of your trip and that you have two to four blank visa/stamp pages. Question 3: Where to get a new passport? To find the nearest location go to travel.state.gov and type in your ZIP code. You can also call the Passport Information Center at (877) 4USA-PPT. In addition to individual passport sites, applications are being accepted at some post offices and public libraries. And if you need to renew your passport, you can do this by mail as long as the document you have isn't damaged and you've gotten it within the past 15 years. If you're a US citizen living outside the country, you should go to the nearest U.S. Embassy or U.S. Consulate. Question 4: Can the process be expedited? If you have less than 8 weeks until your travel date, the State Department recommends you get an expedited passport - available in about two weeks. But you'll pay for it. While a regular passport costs about $97 bucks, getting your passport expedited is an extra $60 plus delivery fees. If you're really in a bind, there are private expedition services that can deliver your passport from 24 hours to a few days. But there's a steep price tag. Prices are generally around $150, not including delivery. To find companies in your area, you can go to the National Association of Passport and Visa Services at NAPVS.org. But according to director Rob Smith, a lot of companies are experiencing at least a few days backlog because of the impending deadline. Another option: check out "Visa and Passports To Go" at www.vp2go.com according to Anne Banas of SmarterTravel.com. Question 5: Are there passport-related travel discounts or deals? The Caribbean Tourism officials aren't very pleased with these new regulations. In fact they liken the new regulations as akin to a "category six hurricane." So the deals to entice travelers are rolling out. Here's are some examples: Vacation-package providers, including SuperClubs and Cheap Caribbean, are giving visitors rebates of up to $97 per person to off-set the expense of passports. The Bahamas are also giving out passport rebates. And check out visitjamaica.com. They're offering credits of $97 that you can use toward a spa or a room upgrade. There's even hotels are resorts offering everything from a free bottle wine to a half-hour massage if Jamaica is the first stamp on passports. Gerri's Mailbox: Got questions about your money? We want to hear them! 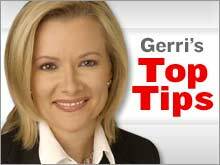 Send e-mails to toptips@cnn.com or click here - each week, we'll answer questions on CNN, Headline News and CNNMoney.com.